The growth of Amazon seemingly knows no bounds. What was once a modest online bookstore is now a juggernaut of a company, with its influential fingers in more pies than you could imagine. This guide should be of some use to help you understand a little more about Amazon, how it came to be, what it offers, and exactly what it’s working on. How and When Was Amazon Founded? In 1994, when Jeff Bezos was 30 years old and working on Wall Street, he quit his job to start an online business. The impetus was a Web that was growing at over 2,000 percent per year. Bezos wanted a slice of that pie, so convinced his parents to invest a large chunk of their savings into the venture. After creating a list of 20 potential products to sell, he narrowed it down to just five: CDs, computer hardware, software, videos, and books. Due to their worldwide appeal, huge range, and low price, he settled on books. Within two months, the company was hitting $20,000 per week in revenue, while still operating from his garage in Bellevue, Washington. By 1995, Bezos raised an $8 million round of funding. Just two years later, the company went public at $18 per share. Why Was it Called Amazon? In 1994, Bezos initially incorporated his company as Cadabra, Inc., but when a lawyer misheard the name as “Cadaver,” the name was changed. In 1995, “Amazon” was eventually settled on, naming the company after the longest river in the world. According to Bezos, this is because the word “Amazon” sounded exotic. That’s just what he hoped his business would become — huge and different. How Did Amazon Survive the Dot-Com Crash? For the first five years, Amazon didn’t make a dime in profit. Every bit of cash that could be spared was reinvested back into the company to build a strong, trusted brand with longevity. Bezos really was playing the long-game. Investors weren’t so sure, however, and started to complain. But when Bezos announced a (small) profit of $5 million during a period when large businesses were collapsing due to the dot-com crash, Bezos was proven right (though Amazon’s shares did drop to a low of $10). It was this strategy to invest in creating a lasting company, rather than simply pursuing growth for growth’s sake, that saw Amazon survive and flourish through this historic crash. How Much Money Does Amazon Make? As of this writing, Forbes estimates Amazon’s sales to be $136 billion with profits of $2.4 billion. The company holds assets worth $86 billion and has a market value of $427 billion. This profit margin seems so small because even now Amazon continues to invest heavily in long-term projects, from building new fulfillment centres, to buying out supermarket chains for almost $14 billion. How Many Items Does Amazon Ship? It’s hard to comprehend just how many products Amazon sells. Yet according to ScrapeHero, in January 2017 almost 400 million items were sold on the site. During Amazon’s 2016 Prime Day sales, the company tills were ringing up to 600 times per second. What Does Amazon Actually Sell? Long gone are the days when Amazon merely sold books. The online retailer now lists hundreds of millions of products in almost every category imaginable. From fitness equipment and laptops, to refrigirators and tins of beans. Amazon also sells a massive range of digital products, including ebooks, audiobooks, albums, movies, and TV shows. Many of these physical and digital items are sold by Amazon itself. Millions of others are listed on the site by third-party sellers who are prepared to give Amazon a cut of the profits. And then there’s Amazon’s own hardware ranges. These include the Kindle e-reader, Amazon Echo smart speakers, Fire tablets, Fire TV sticks, and Amazon Dash buttons. 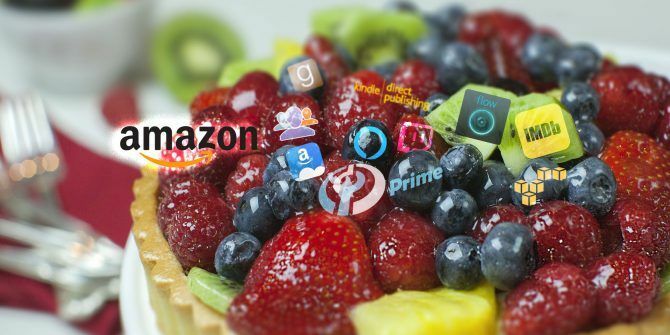 To prompt people to spend even more on Amazon, the company also offers Amazon Prime: an “all-you-can-eat shipping membership program” with a host of other benefits 7 New Amazon Prime Benefits You Didn't Know About 7 New Amazon Prime Benefits You Didn't Know About You don't need Prime to benefit from Amazon. But Amazon Prime comes with a few lesser known benefits you may not have tried yet. Read More . Then there’s Amazon Web Services: a range of cloud computing services that comprise a respectable chunk of Amazon’s revenue (as well as 40 percent of the entire public cloud computing market). How Do Amazon and Amazon Prime Differ? For many visitors, Amazon can simply be seen as a traditional — but huge — online retailer. But for people who sign up for Amazon Prime membership, the company can become a key part of your online life. Free two-day delivery on over 50 million items (one-day in the U.K.). 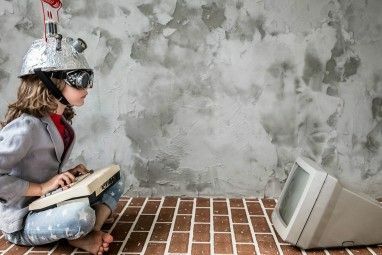 Unlimited streaming on Amazon’s impressive competitor to Netflix Netflix vs. Hulu vs. Amazon Prime: Which Should You Choose? Netflix vs. Hulu vs. Amazon Prime: Which Should You Choose? It has been years since we've compared heavy-hitting streaming services, Netflix, Hulu, and Amazon Prime. And with changes in pricing, content, quality, and interface, we thought it was time to revisit the topic. Read More , Prime Video. Unlimited streaming on Amazon’s competitor to Spotify, Prime Music. Unlimited access to over a thousand books, magazine issues, comics, etc. on any device. Unlimited photo storage and 5 GB of cloud storage. Early access to lightning deals, including access to Prime Day deals. Access to Amazon Pantry, where you can shop for groceries and household items. Paid access to Amazon Channels. According to data from Statista, non-Prime members spend an average of $700 per year on the site. Prime members, however, spend $1,300 per year, which is why Amazon is pushing this membership program so hard. And it’s working. The company is set to have over 50 percent of all U.S. households signed up to the plan by the end of 2017! Rather than paying for a complete TV bundle, wouldn’t it be best if you could just subscribe to individual channels? Well, that’s what Amazon Channels is. But it’s only available to Prime members in the U.S, U.K., and Germany. HBO, including Game of Thrones and Westworld, costs $15.99 per month. Masterpiece costs $5.99 per month. Showtime costs $8.99 per month. It used to be that when a company or individual sold their products on Amazon, they’d have to figure out the storage and shipping of those products themselves. Then, Amazon started building “Fulfillment Centers” — huge warehouses that take care of all of this. A seller simply sends their products to a fulfillment centre. And because Amazon has control over the shipping of the products, they’re eligible for free Prime delivery. When an order is placed, Amazon packs and ships the product to the customer, and deals with all customer service issues and returns. In return for all this, the seller pays for storage and Amazon takes a slightly larger chunk of each sale. What’s an Amazon Pick-Up Location? If you don’t want to have your order delivered to your home, Amazon has thousands of Pick-Up locations that you can have your order shipped to, instead. You can then pick-up your item when it’s convenient for you. You can search for the best Pick-Up location for you when you’re selecting the delivery options during the check-out process. 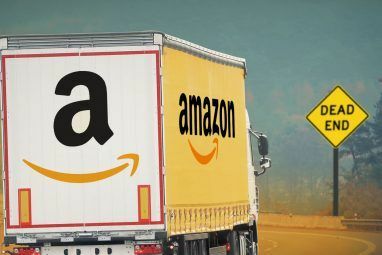 These pick-up locations could be stores or businesses that are prepared to accept deliveries from Amazon, or an Amazon Locker — those big yellow, metal containers you see in some stores and airports. If you don’t pick up your order within three days, it’ll be sent back to Amazon to issue you a refund. Another Prime-only option, dash buttons are physical buttons you can purchase off Amazon. Each dash button is configured What Is Amazon Dash? And 6 of the Best Hacks You Should Know What Is Amazon Dash? And 6 of the Best Hacks You Should Know Wondering what Amazon Dash Buttons do, and looking for the best Dash Button hacks? Here's an introduction to these devices, plus the best hacks for them. Read More to add a specific product to your Amazon cart. Running out of detergent, or dog food? Press your your respective button, and the item will be ordered, and delivered via your Prime account. What Else Does Amazon Offer? Above, we’ve mentioned some of the main products that Amazon sells. But there are a host of other services that the company offers, which you might not know about. Alexa is Amazon’s voice-control system, much like Apple’s Siri, or Microsoft’s Cortana. Most of the big tech companies, including Amazon, are ploughing huge amounts of cash into developing these kind of voice-control systems. Although Alexa is available on Amazon’s Fire tablets, and Fire TV, it’s most useful on Amazon’s smart speaker 7 Creative Uses for Amazon Echo and Alexa 7 Creative Uses for Amazon Echo and Alexa You’ve seen the ads starring Alec Baldwin, but you're still not sure what Amazon Echo does or whether you need one in your home. We’re about to find out. Read More , Amazon Echo. You can use the service to play music, search the internet, dim the lights, etc. with nothing but your voice. As more “Skills” (apps) are developed for Alexa 18 Awesome New Amazon Alexa Skills You Need to Try 18 Awesome New Amazon Alexa Skills You Need to Try The Amazon Echo's list of skills is growing all the time. Let's take a look at the most useful and silliest skills from the past few months. Read More , the service will only become more useful. Given that Amazon’s infrastructure is so impressive, the company decided to extend this, and offer part of the infrastructure as cloud services to other businesses. Amazon’s Web Services are relied on to help power companies like Airbnb, Adobe, AOL, and Netflix. This saves those companies the headache of wrestling with things like computing power, cloud storage, databases, content delivery, and other functionality themselves. Amazon Drive is a cloud storage service — like Dropbox or OneDrive — that anyone can sign up for. Amazon Prime members get unlimited storage for photos, plus 5 GB of storage for anything else. If you’re not a Prime member, or want more than 5 GB, the only other option is an “unlimited” plan for $60 per year. A free three-month trial is available to everyone. The Amazon Vine Program is an invite-only club for Amazon’s top reviewers. The aim is to help provide more useful information to other customers, and so Amazon wants its best reviewers trying and reviewing even more products. In return for being part of the program, you’ll get free products (including pre-releases) to review honestly. This is Amazon’s augmented reality app (Android, iOS [No longer available]). It’s basically a camera that can identify products such as books, DVDs, video games, food, and toys. It also scans barcodes and QR codes to display more information about those products. This is mainly a quick way for you to see how much a product costs, or how highly it’s reviewed, on Amazon. Mechanical Turk is Amazon’s “marketplace for work”. The jobs are usually tiny repetitive computer-based tasks, like categorizing images, data entry, transcribing, and grabbing data from websites. Rates are so low, it’s hard to earn real money doing this. But for the companies who offer tasks, they get an on-demand workforce that can complete thousands of tasks in minutes. When Amazon launched the Kindle, it changed everything for self-published authors. Now anyone could promote their books to millions of potential readers via Amazon without using a traditional publisher. To make this as easy as possible, Amazon launched Kindle Direct Publishing. This is a simple way for authors to add their books to the Kindle library. Authors get to write the description, choose the categories, and set the price of their books. Once done, their newly “published” book will appear in the Kindle store within one day. What Other Companies Does Amazon Own? IMDb — One of the leading movie sites on the web. Goodreads — A huge online community for bibliophiles. Twitch.tv — A video streaming platform for gamers. Wholefoods Market — An organic grocery chain with over 350 stores globally. Digital Photography Review — A well-respected photography equipment review site. Audible — The internet’s largest audiobook store. Alexa.com — A popular website analytics and marketing platform. What Else Is Amazon Working On? As you can see, Amazon is far from a stagnant company. With the influence it has in so many industries, the opportunities are everywhere. To all appearances, Amazon is ploughing huge resources into growing its Prime subscription base. The features included in the membership plan are starting to become bewildering. But this is only one strand of where Amazon is headed. Alexa is becoming more popular, and more powerful, each month. If this continues, Amazon will almost definitely become one of the key players in the smart home industry. There are also rumors that the company will soon be releasing a messaging app called Anytime to compete with WhatsApp and Viber 5 Reasons Why You Should Ditch WhatsApp for Viber 5 Reasons Why You Should Ditch WhatsApp for Viber WhatsApp is the biggest instant messaging app out there, but is it the best? Hit the link to find out why Viber might just be a better choice. Read More . Amazon already launched it’s first brick-and-mortar Amazon Go store, which offers the world’s most advanced shopping technology. And with the company’s recent acquisition of Whole Foods Market, we should expect to see Amazon truly taking over the high-street. We also see Amazon investing massive amounts of cash in original programming for Prime Video. This will keep the company competing closely with Netflix into the future. And rumor has it that Amazon is still pursuing its goal of Amazon Prime Air, a delivery service manned by drones that can deliver products in record time. An Inspiration or a Terrifying Monopoly? Amazon is one of the business-world’s true success stories. Jeff Bezos serves as an inspiration to entrepreneurs the world over. And the company itself acts as a reminder of how fast brands can grow, and how far their influence can spread. Whether this is a story to inspire, or a warning of a world where too much power is in too few hands, is an ongoing debate. But one thing’s for sure — Amazon is one hell of a company! If there’s anything we’ve missed that you think should have been included in this Amazon 101 guide, please let us know in the comments! Explore more about: Amazon, Amazon Kindle, Amazon Prime, Entrepreneurship, Prime. Prime Music, which has a catalog of just 2 million songs, is not Amazon's competitor to Spotify as mentioned in this article. Amazon's Spotify equivalent is Amazon Music Unlimited, which costs $8/month for Prime members and $10/month for everyone else. Prime Music is not Amazon's competitor to Spotify as it only has 2 million songs. Amazon's competitor to Spotify is Amazon Music Unlimited, which is $9.99/month for non-Prime users, but $7.99/month for Prime users.